Application of Immunostimulants from Caulerpa racemosa Extract to Improve Immune Response of Giant Gourami Fish (Osphronemous Gouramy) to Aeromonas Hydrophila Infection. Windia Yuniarti D, Maftuch and Fadjar M.
Bacterial disease caused by Aeromonas hydrophila usually happens in giant gourami fish aquaculture. Preventive effort which can be done is application of immunostimulants. Seaweed (Caulerpa racemosa) is one of the natural immunostimulants which can be used to improve non-specific immune response of giant gourami so that it becomes more resistant to Aeromonas hydrophila bacterial infection. Method used was giant gourami’s soaking in Caulerpa racemosa extract with dosages of 0.5 ppt, 1 ppt and 1.5 ppt. Then the fish were infected by Aeromonas hydrophila bacteria. The test parameters include total leukocytes, lymphocytes, monocytes, neutrophils, macrophages, and phagocytosis activities before and after the Aeromonas hydrophila infection. The results showed that the application of immunostimulants from Caulerpa racemosa extract can improve non-specific immune response of giant gourami fish by 5%. This research is expected to be a reference in future research to determine the application of immunostimulant from Caulerpa racemosa using other parameters. The Use of Chicken Manure Fermentation for Protein Source on Juvenile Catfish (Clarias sp.) Diets. Kusuma B, Martinah H. A. and Fadjar M.
Protein in the catfish diets are replaceable. The effect of replacement total protein juvenile catfish diets with fermented chicken manure was investigated. Five treatment diets containing 30% crude protein in the total protein diets was replaced by fermented chicken manure (Rhizopus sp.) 0% (A), 2.5% (B), 5% (C), 7.5% (D) and 10% (E) levels formulated and fed to catfish juvenile (weight 2,05±0,02 g) for 30 day on controlled aquaria. Results from studies found that the best diet formulation can provide catfish juvenile growth and feed efficiency response was diet C. Juvenile catfish responded to the diets C with survival rate (SR) 72.22±4.81; specific growth rate (SGR) 2.33±0.08; feed conversion ratio (FCR) 1.69±0.07; protein efficiency ratio (PER) 2.00±0.08; protein retention 22.7±1.38 and energy retention 9.3±0.99. Effect of Biofloc on Feed Efficiency and Growth of Pacific White Shrimp, Litopenaeus vannamei (Boone, 1932). Yuniartik M, Martinah Hariati A, Fadjar M.
The use of antibiotics in shrimp culture in Indonesia is prohibited under new Fisheries Law. Biofloc Technology was introduced since 2003 and getting more interest as proved to provide positive impact on production. This study aimed to evaluate the effect of biofloc on shrimp growth and feed efficiency. 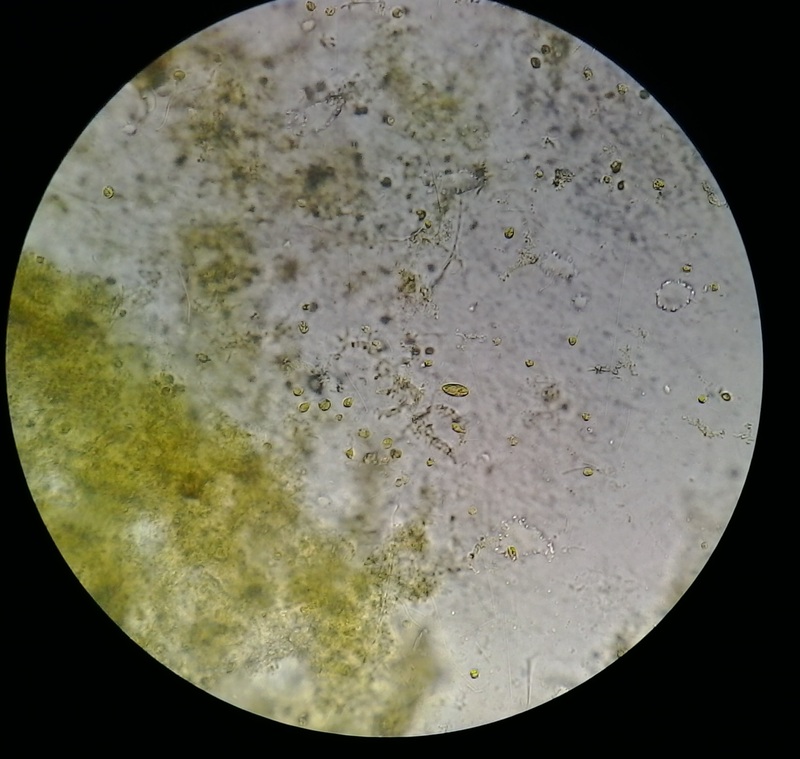 A laboratory experiment was set up using biofloc media and control (without biofloc). Five treatments of feeding levels (10%, 9.5%, 9.0%, 8.5%, and 8.0% body weight day-1) were applied, and compared with control at 10% feeding level but without biofloc. Nitrite concentration of the control was five times higher (± 0.51 mg l-1) than in the biofloc system (± 0.1 mg l-1). The similar pattern also occurred for Ammonia-Nitrogen. Shrimp survival rate was statistically comparable for both systems, ranging from 70.0% to 78.6%. Specific Growth Rate in the biofloc system was significantly higher (ranging from 8.1 – 9.2% body weight day-1) than the control (7.5% body weight day-1). This was due to higher feed efficiency attained in the biofloc system that finally resulted in higher shrimp biomass at harvest. It seems that organic material from the excess of feed and feces were degraded and converted into in-situ protein in form of bacterial cell (biofloc) and partly consumed by the shrimp. The recovery of intensive shrimp culture in Indonesia seems to be dependent on the ability of individual farm to maintain biofloc system during grow out period. Trichoderma viride as Starter Fermentation Waste Cow Feces for Nutrition Alternative Catfish (Clarias sp.). Marza Arisandi D, Sri Widodo M, Yanuhar U. An increase in the content of nutrients in the feces of beef that has been fermented by T. viride with optimum time of 4 days of fermentation. The right of substitution and influential with optimum results in the specific growth rate (SGR), efficient of feed (EP), feed conversion ratio (FCR), retention of energy (RE), resources and content of glycogen in digestion muscle meat that is present on the C protein treatment 30,85% and 43.87% carbohydrate with a commercial feed >< 27 gr. Results from deposits of glycogen in the body of the catfish (Clariassp), the highest in treatments C, namely of 0.76%. The amount of glycogen is different in different tissues relies on providing glucose and energy needs. Although the levels of glycogen in the liver, there is more (3-5%) than in muscle (0.5-1%), but the amount of glycogen in the muscles more entirely due to more muscle mass. Utilization of Solid Waste from White Shrimp (Litopenaeus vannamei) Farm on the Growth and Chlorophyll Content in Chlorella sp. Tangguda S, Arfiati D, Wilujeng Ekawati A. Solid waste from white shrimp farm contained the macro and micro nutrients that required for the growth of Chlorella sp. 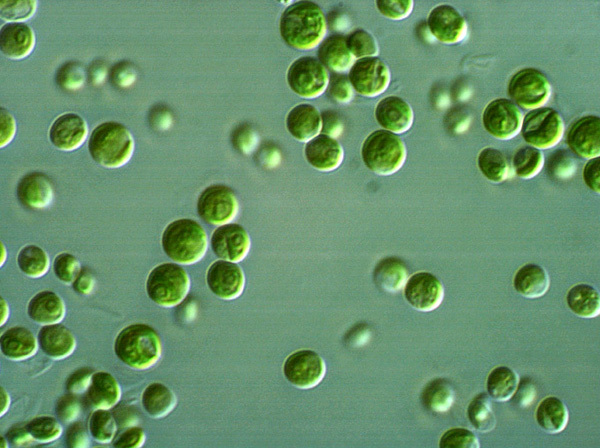 This microalgae usually used in the fisheries and pharmaceuticals, especially chlorophyll content. This study aims to assess dosage of solid waste from white shrimp farm that used to produce the highest cell density, the fastest of specific growth rate, and the highest chlorophyll content in the Chlorella sp. Waste samples obtained from white shrimp intensive farming. The method used in this study is the experimental method with five treatments (0, 2, 4, 6, and 8 g/l) and 3 replications. Data obtained from the results of subsequent studies analyzed statistically by completely randomized design (CRD) using statistical applications, SPSS version 16.0. The results utilization of a dose as much as 2 g/l resulted in the highest cell density (2,333,333 cells/ml), the fastest specific growth rate (0.7677), and the chlorophyll content is 89.0568 mg/m3 (86.1568 mg/m3 of chlorophyll a and 2.9000 mg/m3 chlorophyll b).